We had our first snow fall of the season yesterday. The kids spent a good part of the afternoon outside playing with the snow and making a snowman. Then they came inside and asked for hot chocolate. 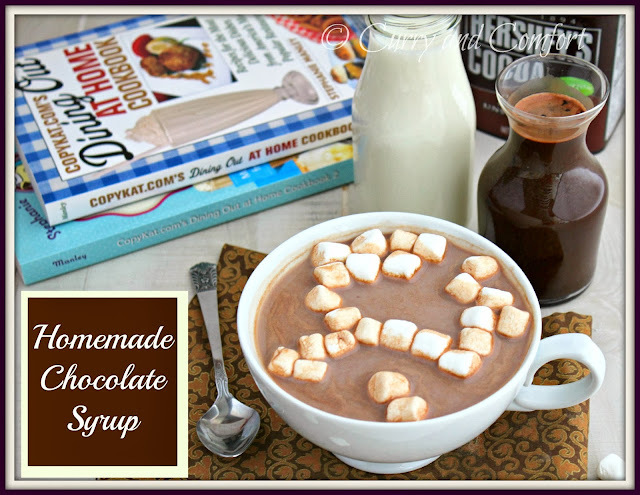 I looked for some Hershey's syrup and didn't have enough to make two big mugs of steaming hot chocolate. I turned to the pages of Copykat.com's Dining Out at Home Cookbook and there it was... how to make Hershey's Chocolate Syrup at home. It took me only five minutes to whip up the chocolate syrup and then add some milk to make some really delicious hot chocolate. 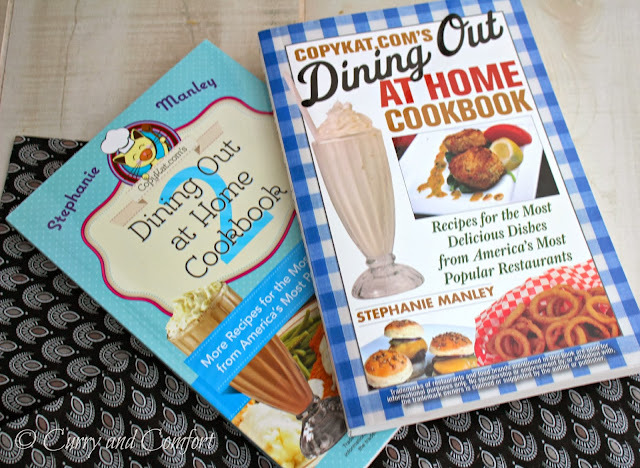 So if you want to make these wonderful copycat recipes, Get your chance by winning a free copy of the original Copykat's Dining Out at Home Cookbook by following the giveaway below. You can also buy the cookbook at Amazon or Barnes and Noble. Combine cocoa, sugar and salt in saucepan with water. Stir until smooth. 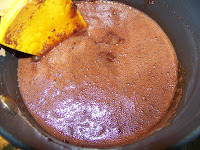 Bring to a boil for one minute (careful not to boil over). 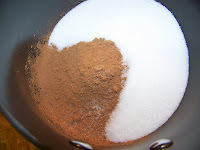 Allow syrup to cool and stir in vanilla extract. Use with cold or hot milk. Enjoy. I will choose 1 winner from this post. To enter you must Follow Curry and Comfort's Facebook and leave a comment stating so. BONUS ENTRIES: Please leave a new comment after you complete the following to count as an entry. 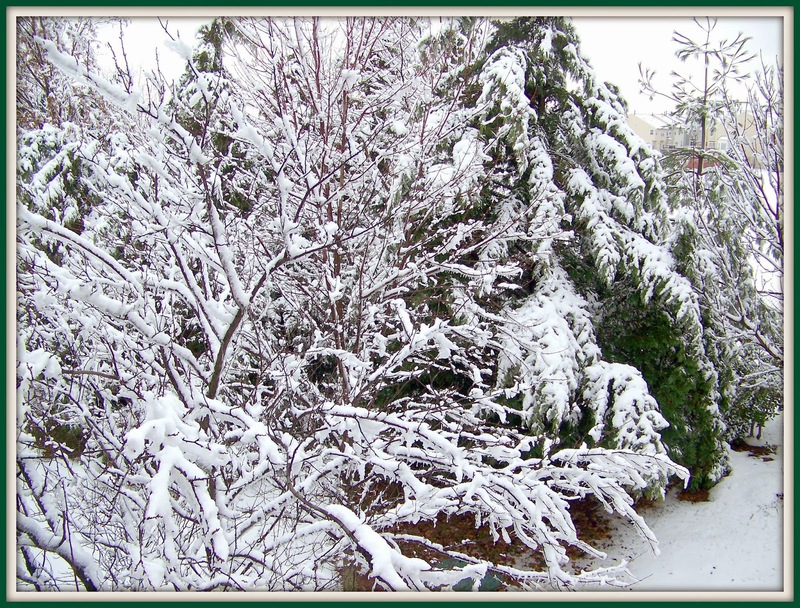 What a beautiful picture of the snow! We had our first snowfall last week. It's been so cold here that the snow is still around. Usually it melts as soon as the sun comes out. I wish I had had this chocolate syrup two days ago! I was craving for some hot chocolate. It's not too late. Goody Goody! Can't wait to make this! Thanks Ramona! 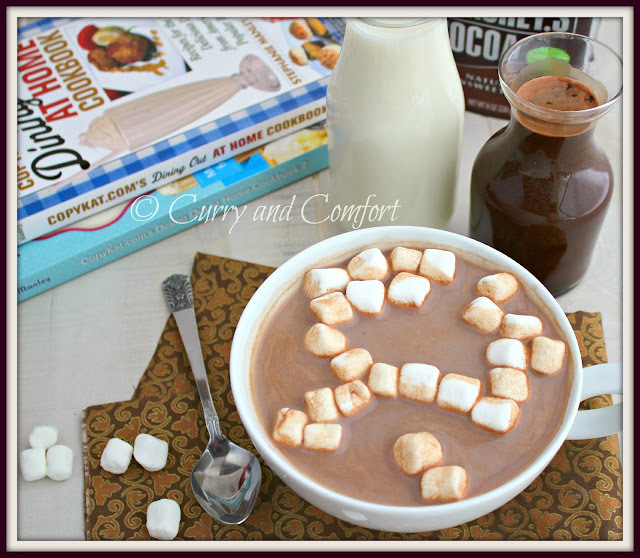 This is probably a heck of a lot better than the name brand...and how easy it is to whip up! YUM! We go through chocolate syrup so fast. I would love to make my own. What an awesome recipe! I "LIKED" you on Facebook! I follow Uylesses Press on Facebook. It is easy, thanks for sharing this with us. I also look for things without HFC, it's amazing the products it turns up in.